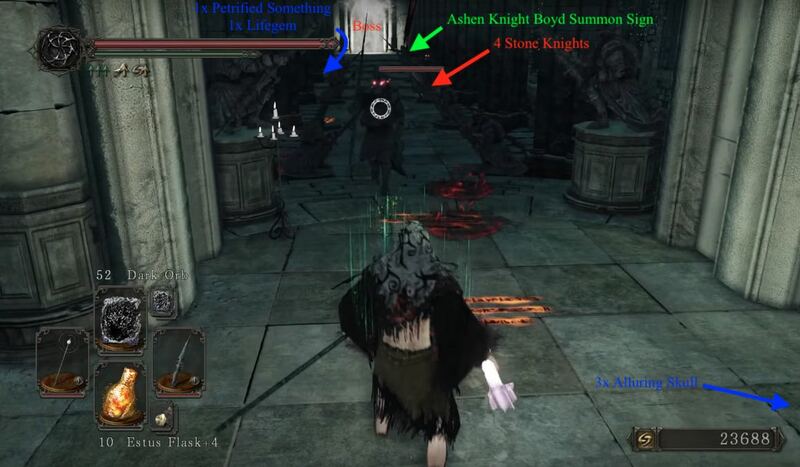 King's Passage is a Location in Dark Souls 2. This area separating Drangleic Castle and Shrine Of Amana, and can only be accessed after obtaining the King's Passage Key. To access King's Passage you need to obtain the King's Passage Key. 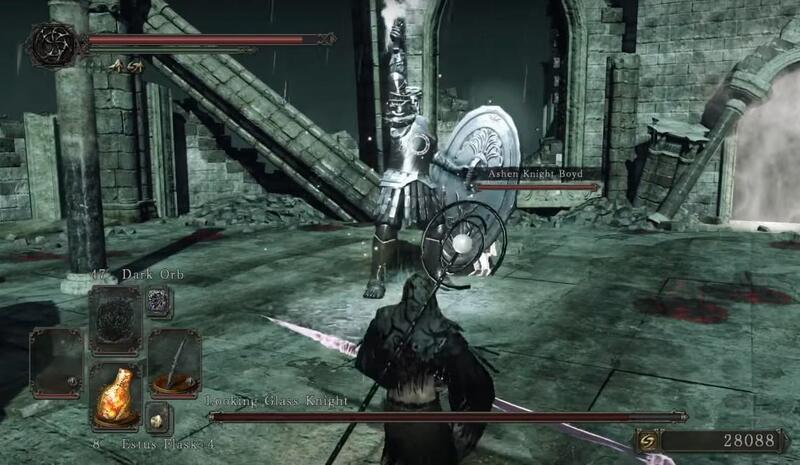 The key is located in one of the three chest in room with trapped Milfanito, in Drangleic Castle. When you open the door with key you find yourself in a long, straight corridor with Stone Knights on either side, four of which will stand up as you enter. There will also be 3x Alluring Skull on your right. Continue forward and find a Lifegem on a skeleton on the left, and a Petrified Something, further ahead. 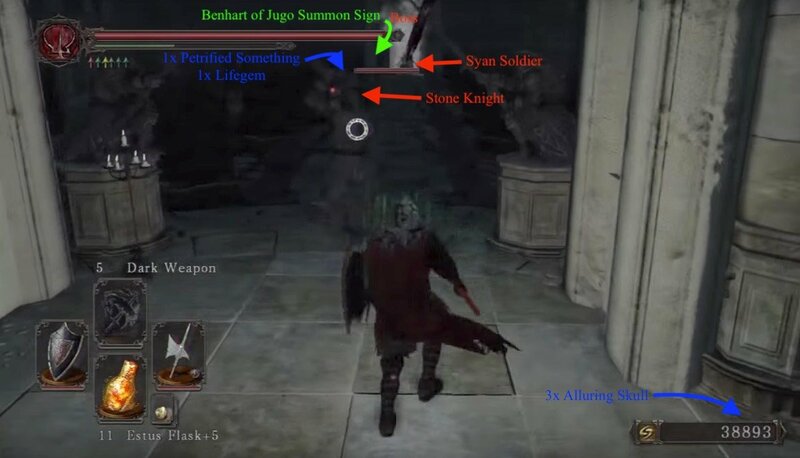 At the end, before the fog gate you'll have to face a Syan Soldier.Benhart of Jugo's summon sign can also be found right before the boss fog. When you are ready, proceed. When you open the door with key you find yourself in a long, straight corridor with Stone Knights on either side, four of which will stand up as you enter. There will also be 3x Alluring Skull on your right. Continue forward and find a Lifegem on a skeleton on the left, and a Petrified Something, further ahead. At the end, before the fog gate you'll find a summon sign for Ashen Knight Boyd. When you're ready, proceed. good to know: Those horse statues do significantly more damage when you are hollowed.